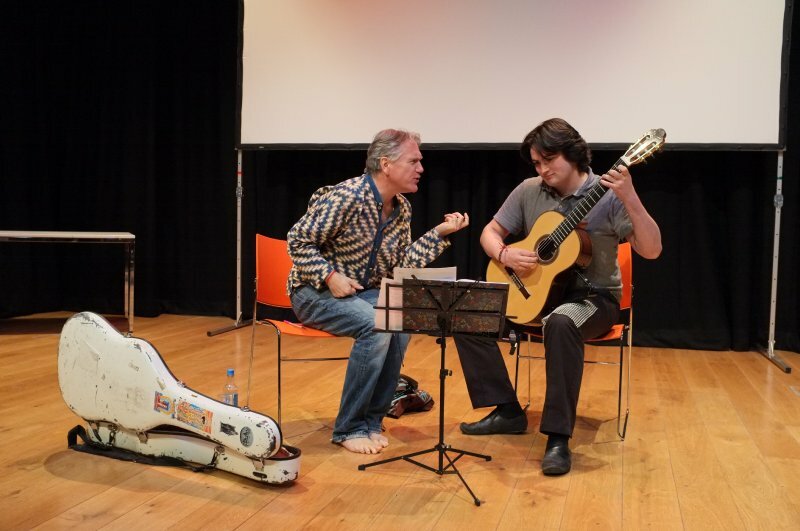 WGF11 was another roaring success with two International artists from the USA Benjamin Verdery and William Kanengiser, the Eden Stell Guitar Duo, plus a course of eager guitarists and record audiences for the concerts. We’ve added a picture overview gallery of the festival for you to enjoy. Many thanks to everyone who helped during the festival especially Graham Cleaver, Jane Sennett, Carol Edwards, Sally Anne McKenzie, and local Winchester photographer Joe Low who’s pictures below really captured the event in style, plus a few additional photos by myself of Bill’s ‘tone production’ masterclass. A detailed account of the weekend coming soon.